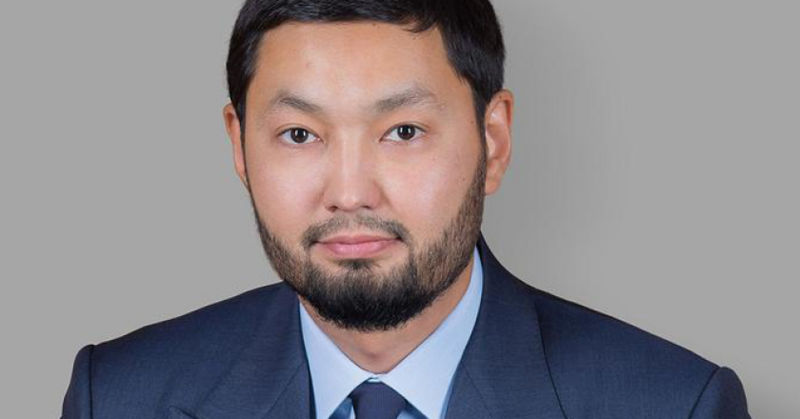 Kenes Rakishev from Almaty is a successful businessman and an active person who supports charitable projects such as Mama’s House and sports in his home country (he is the president of the local Judo Federation). He gained renown after launching a successful venture capital fund with private capital, Singulariteam. The businessman shared his success story and future plans with Invest Foresight. It all began in 2013 with an investment in robotics. The fund then had a different name, Genesis, and invested mainly in Israeli and American companies. It also established cooperation with Chinese executives from Goldman Sachs China. Genesis was known for a non-classical approach to the selection of projects. They did not want to limit themselves to the framework in which most of such funds operated. For example, they would not refuse to invest in a startup launched by someone without a university degree. Another component of success was the smooth cooperation of all participants in the fund. If they selected a project, each investor tried to make a contribution, but worked as part of the team, not individually. Over time, Singulariteam expanded its interests beyond the limits of robotics to invest in medicine, IT and space exploration. Kenes Rakishev’s and other Singulariteam investors’ record includes several bright and outstanding deals. One of them was GeneSort, a startup based on a simple, but very beneficial idea. The technology compiled accurate genetic profiles of people suffering from cancer, and, taking into account the mutations specific to a specific person, formed recommendations for treatment. At first, the fund invested $2.2 mio in GeneSort, which helped the startup enter the market and offer its technology. As expected, the project aroused interest. A Hong Kong company offered $23 mio for GeneSort and received approval for the deal. The fund invested in General Robotics, a company from Israel, whose employees designed several combat robots and presented them at exhibitions in 2018. Now 30% of the company’s shares belong to Rakishev’s fund. Singulariteam also invested in New York-based Juno Taxi, which was bought by Gett for $200 mio; and in Beyond Verbal, an Israeli startup that developed a technology analyzing a person’s mood and temperament based on voice and intonations (it is seen as a good helper for operators in call centers). There have been over 50 other projects: from energy and primary industries to mobile devices charging (namely, StoreDot company which developed a battery that fully charge in just five minutes. Lenovo offered $700 mln for this ground-breaking technology). But the most sensational project is Effective Space Solution, another Israeli-based company specializing in the space industry. The idea is to create a station with drones that will be able to refuel satellites, return the lost ones to the orbit, and even repair the old ones. The fund invested some $8 mln in the company. The problem that the Effective Space Solution will partly resolve is space debris (which consists of some 750,000 objects) on the Earth orbit that threatens other satellites and spacecraft. The thing is that given the current fuel and engines, satellites cannot operate for more than 10-15 years. The Space Drone developed by Effective Space will cost almost 50 times less than the launch of a new satellite. No wonder space agencies are so interested in it. Plans call for launching the first station using a Russian-made Proton rocket by 2020. In the nearest future, Singulariteam is going to work with Sirin Labs, where Kenes Rakishev is a member of the board. Its engineers and programmers have developed a smartphone operating on the blockchain technology (to store data and protect the phone from hacking attacks) with a cryptocurrency wallet. In addition, Sirin Labs is developing a PC with a new operating system, SirinOS, fitted with a self-learning cybersecurity system that reacts to changes in behavior and tactics of hackers. SirinOS also has a cryptocurrency wallet, TrustCore, which can be disconnected from the internet and still preserve all data.